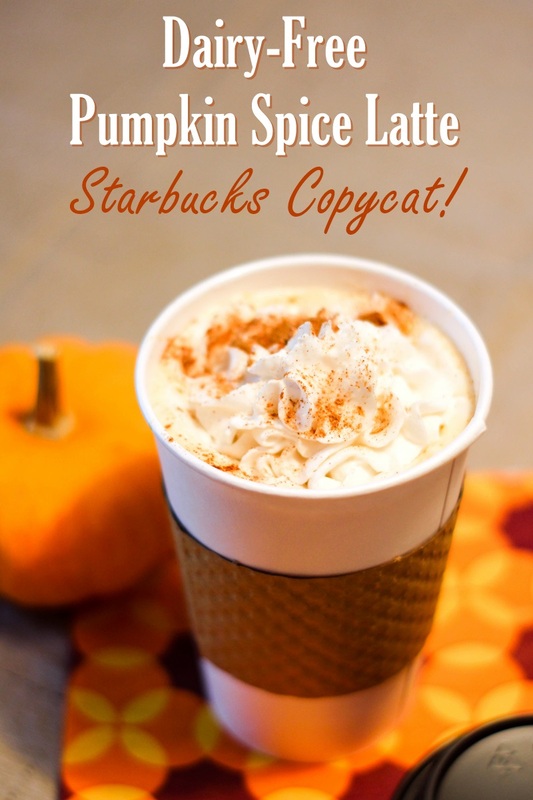 Alisa’s recent pumpkin spice columns (Trader Joe’s Dairy-Free Pumpkin Goods, 33 Other Dairy-Free Pumpkin Spice Products, and Pumpkin Spice Waffles) inspired me to make a dairy-free version of one of the most popular pumpkin spice items: the Starbucks Pumpkin Spice Latte. This dairy-free pumpkin spice latte took me longer to perfect than I expected, but I’m very pleased with the final result. Since I am able to eat dairy, I went to my local Starbucks and purchased a small Pumpkin Spice Latte for comparison. My first surprise was the price! Making these at home enables dairy-free coffee drinkers to enjoy them, but it also saves everyone some money. The Pumpkin Spice Latte was very thick and very sweet with strong spice flavors. 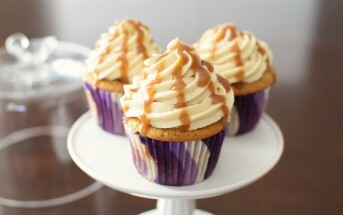 It also had a pretty orange pumpkin hue and a fun whipped cream and pumpkin pie spice topping. I looked at the ingredients on their website and used that as a starting point. Then I looked at the many copycat recipes online. None of them were exactly what I was looking for, so I made my own recipe. I also cut down the measurements to make them suitable for one small latte. But the recipe is easy to double for a larger latte. To achieve the flavor and texture of a Starbucks pumpkin spice latte, follow the directions below. 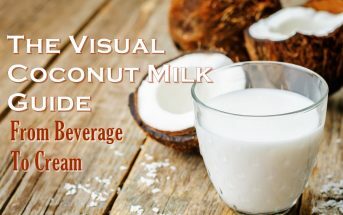 For a lighter beverage, you can omit the coconut milk and increase the dairy-free milk beverage to 1/2 cup, but it won’t have the thick consistency of a Starbucks pumpkin spice latte. 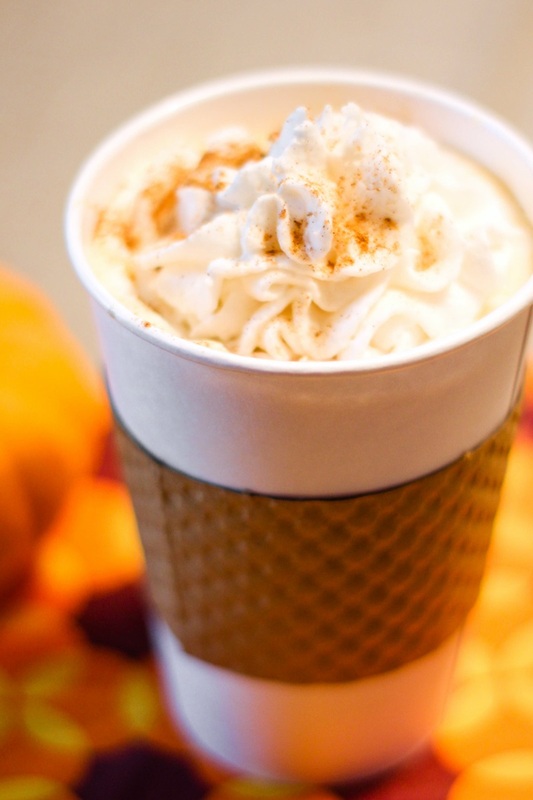 If you would like a dairy-free pumpkin spice latte with less sugar, you can reduce the amounts of vanilla simple syrup and Pumpkin Spice Sauce to 1 tablespoon each and omit the whipped cream topping. For an even lower-sugar option, you can try another one of my favorite fall coffee drinks, the Vegan Pumpkin Frappuccino. By ingredients, this recipe is dairy-free / non-dairy, egg-free, gluten-free, grain-free, optionally nut-free, peanut-free, soy-free, vegan, and vegetarian. 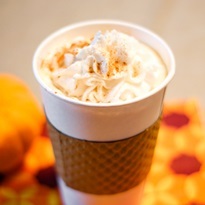 This fall-spiced beverage is just as delicious as the original, but at a fraction of the cost! In medium saucepan, whisk together the water and sugar and bring them to a boil over medium-high heat. Cook until the mixture thickens slightly, about 3 minutes. Remove the syrup from the heat, and stir in the vanilla. Let cool to room temperature. In a glass canning jar, whisk together the coconut milk and milk beverage. Heat, uncovered, in the microwave until warm. Use a milk frother to froth the milk, or screw a lid onto the jar and shake until the milk is frothy. 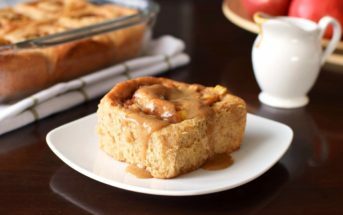 Pour the coffee into a mug, and add the warmed dairy-free milk, vanilla syrup, and Pumpkin Spice Sauce. Stir until combined. Top with dairy-free whipped topping and dust with pumpkin pie spice. Want More of Our Recipes? Get Eat Dairy Free! We make our own pumpkin spice lattes at home because Starbucks can’t or won’t make theirs without milk. Boo! You’re right, it’s a lot cheaper, and much better for us because we use maple syrup instead of sugar. I think that would be scrumptious with maple syrup! An awesome drink made infinitely better by using ingredients we can all read!! Looks so delicious! Thank you, Tessa! It’s nice to be able to customize recipes, isn’t it? Thanks so much for taking the time to put this together! I would have this all day long (with whipped creme). You’re welcome, Jules! I hope you like it. OMG that recipe for the pumpkin sauce looks incredible! Thanks, Erica! It makes a really good dairy-free pumpkin spice steamer. Thanks so much for sharing this! It’s so sad that the pumpkin spice latte from starbucks isn’t vegan. However who needs to pay $6 for a latte if you can make a better, healthier one at home! Thanks so much for this recipe! Pinning it now so I don’t forget! It’s a good reminder to check all of the ingredients, isn’t it? Who would guess there is milk in the pumpkin sauce they use? I hope you enjoy the recipe! I’ve never had a pumpkin spice latte, but I know people are obsessed with them. Your dairy-free version sounds very festive! Thanks, Cadry! I’d never had one either until very recently. It’s a fun special treat! I usually drink my coffee black, but I’m such a sucker for the pumpkin spice lattes this time of year! This looks incredible! I’m not a big coffee drinker, but I could really go for a mug of this right now! It’s very comforting on a cold day. I like it with decaf coffee, too! Thank you, Raia! It’s nice to be able to customize coffee drinks at home–and save money!